According to a new report, South Korea is losing market share in export sectors where it has enjoyed an advantage. South Korea’s export-oriented industrialization (EOI) was, by any conventional measure, a great success. First taking advantage of the demand for cheap, labor-intensive goods and later for capital-intensive ones, South Korea’s economic growth has always been export-driven. Given its initial strategy, export-oriented growth has become path-dependent. South Korea’s high GDP-trade ratio shows just how dependent the country remains on export-led growth. While it has fared well over the last few decades (indeed, South Korea traded its way out of the 1997 financial crisis), recent data suggests that South Korea may be losing its competitive edge. A report released on May 5 by the Korea Development Institute (KDI), finds that South Korea is facing stiff competition in export sectors where it has enjoyed a comparative advantage, much like Japan did in the early 1990s. Entitled “Changes in the Export Competitiveness of China, Japan, and Korea” (English-language version), the report paints a troubling picture for (some of) South Korea’s export industries. Kyunghang Shinmun tweeted a graph of the global export market shares for China, Japan, and South Korea, using United Nations trade data. The graph shows just how much of the export market is claimed by China vis-à-vis Japan and South Korea (a similar graph appears in the KDI report). 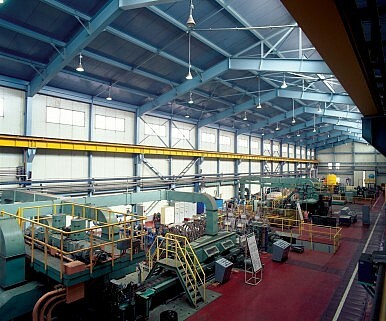 The KDI report notes, “Korea’s export production composition in recent times has been mainly composed of machinery and transport equipment; similar to Japan in 1993 when its market share started to dwindle.” Comparative advantage indexes for export items, which indicate how competitive a country is in a given export sector, show South Korea losing its competitive edge in two sectors: 1) office appliances and automatic data-processing devices; and 2) telecommunications and recording equipment. While its overall share of the export market has actually increased slightly (from 2 percent in the early 1990s to just over 3 percent in 2014), South Korea’s market share for items that China can produce (see the two sectors mentioned above) is rapidly decreasing. If the percent of GDP devoted to research and development is any indicator of how the country is responding to China’s challenge, then things are looking up. According to data compiled by the World Bank, South Korea spent 4.04 percent of its total GDP on R&D in 2012, defined here as public and private expenditures on “basic research, applied research, and experimental development.” Among those for whom data is available, South Korea ranks number one. By contrast, in 2013 the United States spent 2.79 percent of GDP on R&D and Canada spent 1.73 percent. South Korea Avoids Currency Manipulator LabelSouth Korea’s Innovation Cities: If You Build Them, Will Anyone Come?Moon’s Economic Policies Face Their First Major HurdleWhere Does South Korea’s President Go From Here?Is Moononomics Working Yet?